I've actually started to really enjoy hearing about these new books! I hope you have, too. the cover, but it's very intriguing. 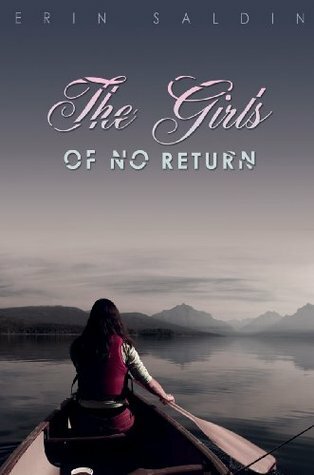 Erin Saldin's The Girls of No Return is a lacerating young adult debut about girls, knives, and redemption. The Alice Marshall School, set within a glorious 2-million acre wilderness area, is a place where teenage girls are sent to escape their histories and themselves. Lida Wallace has tried to negate herself in every way possible. At Alice Marshall, she meets Elsa Boone, Jules, and Gia Longchamps, whose glamour entrances the entire camp. As the girls prepare for a wilderness trek, Lida is both thrilled and terrified to be chosen as Gia's friend. Everyone has their secrets – the “Things” they try to protect; and when those come out, the knives do as well. This book is by a new author, but seems like a book that could have been written by someone with many published books behind her belt. This novel's main plot concerns the implications, complications, and intricacies of friendship, while the story itself is a very real glimpse into what many teens face, the feeling of being abandoned, un-loved, alone, broken and hurting are (unfortunately) common realities. It's nice to see that romance takes a back seat (in fact, it barely appears at all) so that the real people and their problems can get some limelight for a change. The premise is very unique, and while I myself have a few qualms (the main character's name for instance, but that's just personal preference, and since I have very little knowledge of care systems in America I'm hoping the reasons why places such as Alice Marshall are set up and used will be explained) but in terms of characters, all the usual suspects are there: the lost and misunderstood main character, the tough girl, the girl that wants to be everyone's friend and the girl that is so cool that you know she's bad news. If it lives up to expectations, it's going mto be gripping, thrilling, and utterly engrossing. NB: this book contains themes of self-harm, abandonment, teen angst and criminality, so readers should take care when deciding if they will be able to handle the content or not.